Optical Beam Induced Resistance Change (OBIRCH) is a very powerfull fault localization technique for your Integrated Circuit. In semiconductor Failure Analysis OBIRCH is commonly used to localize metal shorts, active area short, shorts in source or drain wells, gate oxide pin holes and poly shorts. Not only is it suitable for FEOL defects but it also localizes failures in BEOL connections like via's, plugs or contacts. For instance high resistant areas at the bottom of a via or cavities in tracks or underneath plugs. In principle an optical beam (near InfraRed) scans the IC and monitors the corresponding current at that exact location. The beam induced heat inside the chip locally. Only near defects this heat generation will cause a very local resistance change. 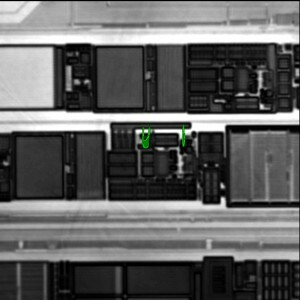 This location is stored and can be overlapped an initial image produced by laser scanning the chip. This will give excellent fault localization of your IC. OBIRCH analysis can be performed Frontside or Backside. A backside analysis is advised and has the advantage that no large metal tracks will block the laser. Preparing a sample for Backside analysis requires more steps, special tools and quite some preparation skills. Frontside analysis suffice with a simple decapsulation or boil-out. Electrical connection can be made using dedicated test sockets or using probeneedles. TIVA which stands for Thermally Induced Voltage alteration is related to OBIRCH as it also is a technique using a resistance change due to thermal effects caused by a IR laser. TIVA in this case monitors the power consumption. A technique complementary to OBIRCH is Photon Emmission (EMMI) or (PEM). 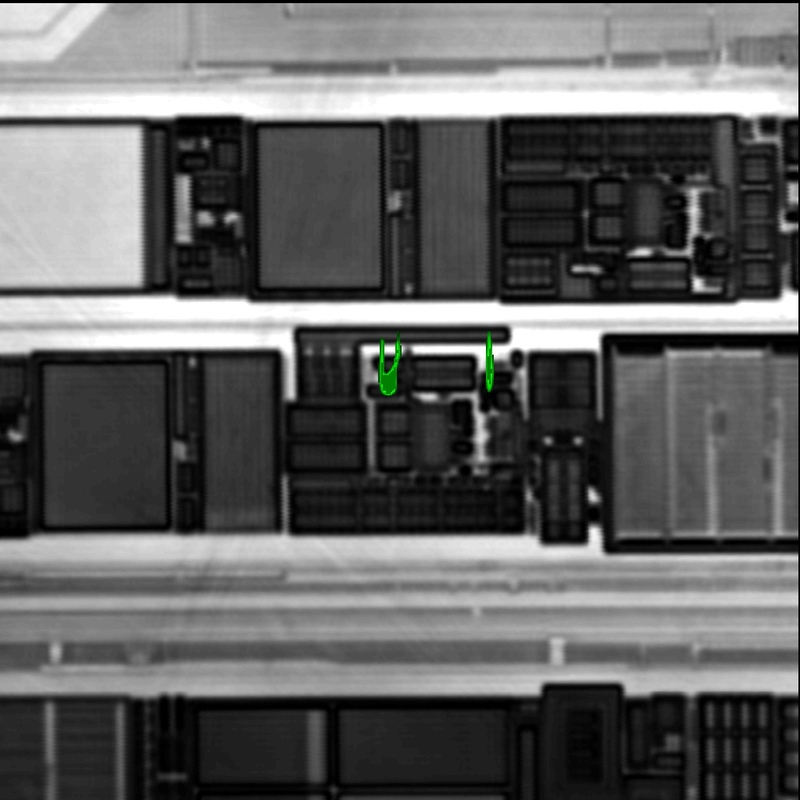 This also is a fault localization technique to find defects in the Front End of Line (FEOL) processes of an IC. Please contact us in case you like to know more about our OBIRCH service.